In many ways, the fundamental process of branding is timeless and unchanging. Research your market, come up with a strong idea, generate content that conveys that idea, and then find ways to get those designs in front of the right audience. But in 2016, finding that audience was becoming increasingly challenging. Big changes in technology, content creation and culture meant anyone working in branding had to keep a close eye on developments to avoid outdated strategies that would miss the mark. In this post, we sum up what we see as the 5 biggest trends influencing branding in 2016 and going into 2017. But if there’s a trend you think we’ve missed, please don’t hesitate to share it in the comments below. To build a brand that connects with your audience, you have to go where that audience is. And 2016 will be remembered as the year the digital audience shifted from desktop to mobile in a big way. This June, Mary Meeker’s annual Internet Trends Report revealed that consumers were now spending 25 percent of their time on mobile, compared with 22 per cent on desktop computers, and that mobile’s ad revenue had grown by more than 66 per cent, far outpacing desktop-based ad revenue, which was up a measly five percent. At the same time, brands have been struggling to engage the attention of online audiences, due to the rise of ad-blocking technologies. This has led, for example to a shift from traditional display ads to sponsored content and branded content. 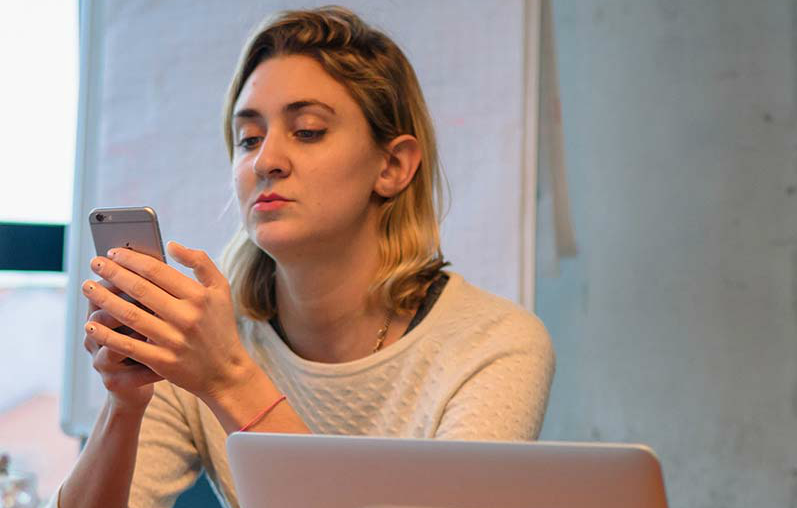 The two platforms that were most successful at making mobile ads work were Facebook and Google, who together controlled 76 percent of internet advertising growth in 2016. With Zenith’s Mobile Advertising Forecasts in October predicting the mobile proportion of internet use will hit 79 per cent by 2018, other content providers need to follow their lead, and fast. While Facebook may have dominated digital advertising in 2016, there was a new kid in town generating a whole heap of attention from big brands. Snapchat is an image sharing social network with a difference. The content you share on Snapchat doesn’t live forever, like on Instagram. Instead, it disappears after a short time, imbuing it with a sense of urgency and excitement. Snapchat is also known for its filters, which people can use to transform their selfies in amusing ways. The social network become astonishingly popular with the young: according to Nielsen, it reaches 41 per cent of all Americans aged 18-34 on any given day. And unsurprisingly, brands have beaten a path to its door, paying huge fees for custom-made filters (known as Snapchat Lenses) for one-off campaigns. So, L’Oreal offered users a Snapchat Lens that showed what they’d look like wearing L’Oreal makeup. Gatorade released a video Snapchat lens during the Super Bowl that showed users being drenched in a Gatorade bath. 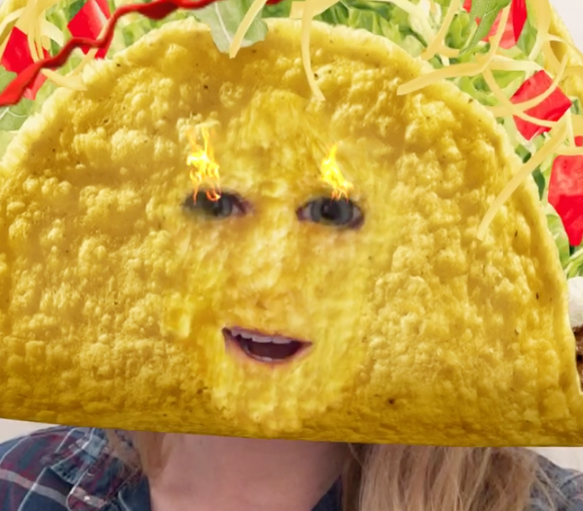 Taco Bell had one that turned your face into, you guessed it, a Taco Bell. None of this is particularly sophisticated stuff, but it does seem to work. The Gatorade Super Bowl campaign, for example, cost PepsiCo a whopping £750,000, but was reportedly viewed more than 100 million times. If Snapchat was the new, cool company in 2016, the coolest new technology was chatbots. Intelligent software that talks with people via text or voice, in a way that closely resembles a real human, chatbots truly arrived this April with Facebook’s new Messenger platform. In brief, Facebook Messenger makes it easier for businesses to deliver automated customer support, ecommerce guidance, content and interactive experiences through chatbots. Twitter has followed suit earlier this month with its own chatbot service, and there are plenty of other competitors in this growing space. 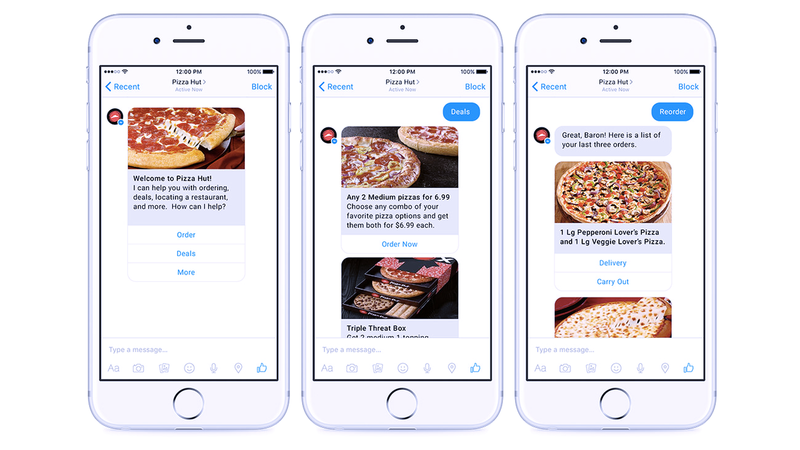 Examples of chatbot tech use by brands include Pizza Hut letting customers to order takeaways via its Facebook and Twitter chatbots; Sephora’s chatbot for messaging app Klik, which lets you to buy products that are referenced in your conversations without ever leaving Kik; and HealthTap, which connects users with more than 100,000 real doctors, but first carries out an initial consultation using a chatbot. If Snapchat brought a sense of FOMO (fear of missing out) to image sharing, then the launch of live streaming platform Facebook Live in April did the same for video. And brands have been quick to jump on board. Early on, they used it to live-stream ‘traditional’ publicity events, such as General Motors’ launch of its Chevy Volt EV at CES. Then things got more imaginative. 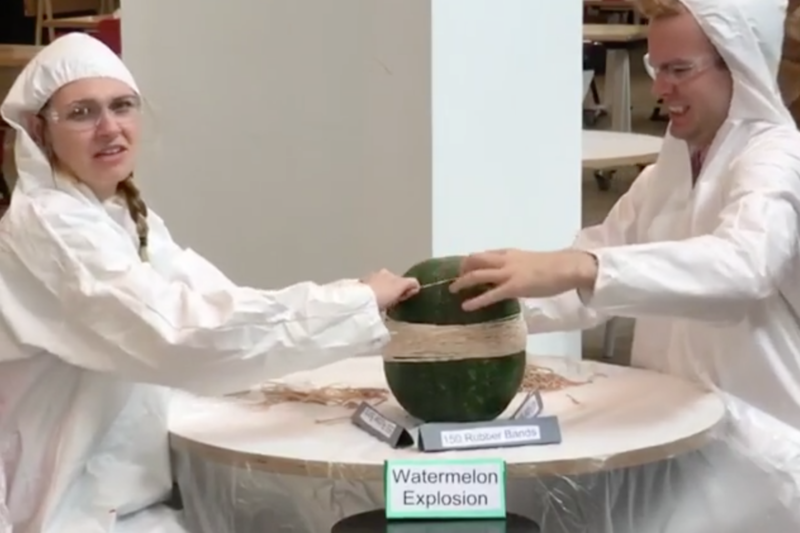 Dunkin’ Donuts, for example, constructed a doughnut wedding cake live from their test kitchen, while Buzzfeed had more than 800,000 people watching as its employees stretched rubber bands over a watermelon until it burst (in case you’re wondering, it took just over 40 minutes). Elsewhere, Land Rover live-streamed test drives of its vehicles in on- and off-road environments via Facebook Live and Periscope, then took questions about their capabilities from viewers on social media. Airbnb partnered with Disney, providing them with a specially-built ‘treehouse’ from which to live-stream red-carpet interviews on Facebook Live during the premiere of the new Jungle Book movie. Even broadcasters have been getting in on the act, with UFC, Sky’s Soccer AM and the BBC’s Match of the Day all using Facebook Live to put out teaser content. The technology behind Facebook Live is nothing new, but by making it free and easy to use, and connecting it with its huge global audience, the service is likely to continue to attract big brands for some time to come. Augmented reality (AR) is a technology that’s also known as hybrid reality or mixed reality. But whatever you call it, it refers to the merging of physical and virtual worlds, to allow physical and digital objects to interact in real time via smartphone screens and other devices. AR itself is nothing new, but this year’s Pokemon Go craze meant that millions of consumers started interacting with AR for the first time. Nintendo quickly grasped the commercial potential of its free geolocation game, charging physical stores and eateries to become hotspots for the virtual pocket monsters players were trying to catch. Other brands were also finding new ways to use AR to engage with customers. For instance, fashion retailer New Look has just launched augmented-reality photobooths in its stores; McDonald’s launched a new AR-driven Monopoly game for diners in Australia; and the AR catalog platform Pair enables you to see what furniture sold by the likes of Ikea, Herman Miller and Blu Dot would look like in your home. 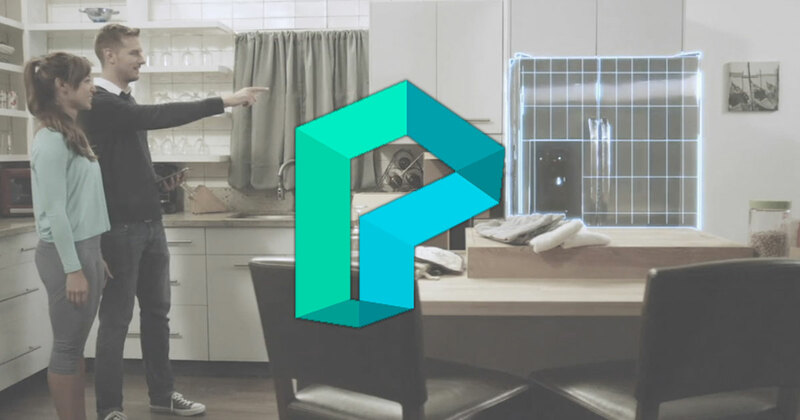 As AR shifts from smartphones to new devices such as Microsoft’s HoloLens computerised glasses, we can only expect this trend to continue in 2017.